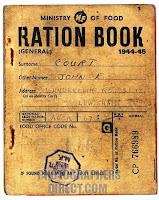 When is rationing not rationing? When is rationing not rationing, a mandate not a mandate and price-fixing not price fixing? When the government says so. Supporters of the PPACA react to opponent’s charges of rationing by claiming that the Independent Payment Advisory Board (IPAB) can't ration because the law says it can't. 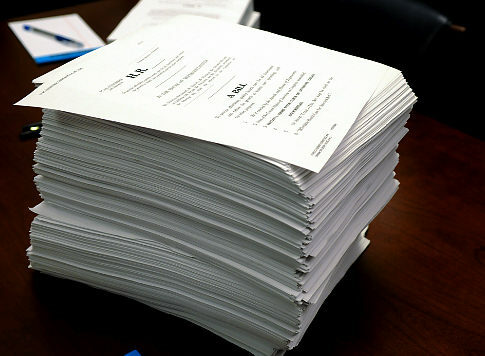 "The proposal shall not include any recommendation to ration health care, raise revenues or Medicare beneficiary premiums under section 1818, 1818A, or 1839, increase Medicare beneficiary costsharing (including deductibles, coinsurance, and copayments), or otherwise restrict benefits or modify eligibility criteria. [Emphasis added] Pub. L. 111-148, § 3403"
But when the government takes your money to fund a program (e.g. Social Security and Medicare) and then in any way limits your access to the benefits of that program, that's rationing. Since the law prohibits restricting benefit restriction and increased cost sharing by patients, the only effective way left for the IPAB to achieve mandated spending decreases is to lower payments to doctors and hospitals. But if you end up with less access to doctors and medical care because the government pays them less, that’s rationing. No matter how much you try to deny it, or what you call it instead of rationing: a rose is a rose...and government controlled health care is rationing. The same people who say the IPAB cannot and will not ration will tell you that markets ration through prices. This is a complete misrepresentation of the role of prices in a free market. Free market prices are a signal. They provide information. Prices do not ration any more than a bathroom scale makes you fat or thin. Free market prices give you information about the relative scarcity of resources and then allowyouto decide how to allocate your own private resources. Free market prices are a reflection of what individuals voluntarily pay. Government rationing is an act of force. It's a fundamentally different kind of interaction when the government determines for you how your resources are to be allocated--whether the government expropriates them first, as in the case of Medicare, or simply mandates how you must spend them, as in the case of the individual mandate to purchase health insurance. Congress is not regulating the failure to buy something, but the failure to secure financing. Mr. Katyal…argued that the law’s insurance mandate, which takes effect in 2014, does not so much require individuals to buy coverage as it does regulate the way they pay for health care they will inevitably consume. This is a distinction without a difference. Lawyers are good at word games, but if you look at the actual real life effect of the law, it is a mandate which offers you no real choice: you can either obtain a government-defined product or you can break the law and pay a penalty. In language similar to the restrictions placed on the IPAB, the new heath care control law also forbids the use of quality-adjusted-life-years (QALYs) “as a threshold to establish what type of health care is cost-effective or recommended.” But thousands of cost-utility studies use QALYs to determine cost-effectiveness. Realistically, QALYs are the yardstick currently used to measure and compare outcomes to various medical treatments. 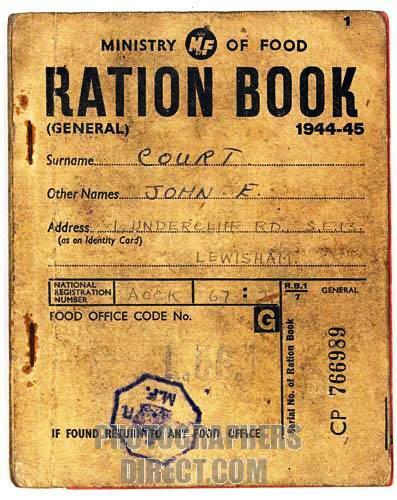 It is hard to imagine how this ban could be any more meaningful than the ban on rationing discussed above. Through a simple decree, the government thinks it can turn prices set by voluntary exchange into price-fixing, and government-determined prices into market prices. Who are they trying to convince? Must be themselves because any one with a bit of common sense can see that changing the terminology can not change the reality. 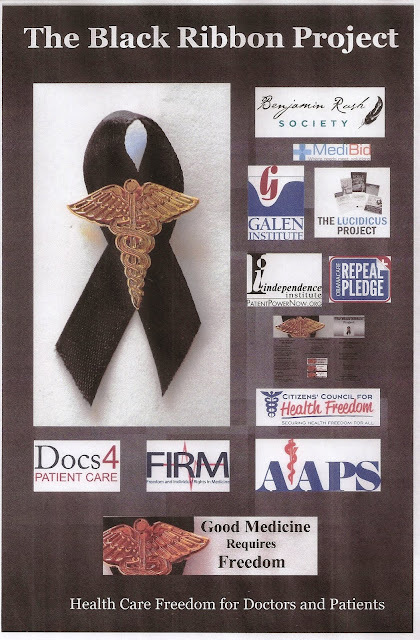 Other equivocations by government officials and their defenders include denying that clinical guidelines accompanied by sanctions and rewards do not amount to promoting “cookbook medicine.” And that as long as you call it “evidence-based care,” you can ignore the fact that much of the “evidence” is controversial and that many of the guidelines are written or funded by those with vested interests in a particular outcome. The [Energy Independence and Security Act of 2007] does not ban the use or manufacture of all incandescent bulbs, nor does it mandate the use of compact fluorescent ones. It simply requires that companies make some of their incandescent bulbs work a bit better, meeting a series of rolling deadlines between 2012 and 2014. [O]ne day very soon, traditional incandescent bulbs won’t be available in stores anymore. They’re about to be effectively outlawed…Conservatives like Rush Limbaugh have denounced the “light-bulb ban” — actually, [it’s] a new set of federal efficiency regulations that the traditional incandescent can’t meet. You see, a ban on light bulbs isn’t really a ban on light bulbs, because the law doesn’t call it a ban. Rationing, mandates, price-fixing, and bans are al terms with precise meanings in plain English. Shame on us if we are fooled by the deliberate distortion of these simple definitions. Stick and stones can break our bones, and words can actually hurt us --when they are used to obscure instead of clarify our understanding of reality. This book provides an easy to read synopsis of the recent health care reform. Pipes does a good job of bringing up the counter arguments to those who defend ObamaCare as a necessary step in the right direction. 1. She provides a brief summary of the history of health care in the US which brought us to our current situation. 2. She presents the data to show the problem of the uninsured is not 15% of our population but closer to 3%. 3. She explains how the PPACA (aka ObamaCare) will exacerbate rising health care costs because it misidentifies the causes of rising costs. 4. She provides a succinct explanation of how laws, government policies and regulations make medical care unaffordable for a significant segment of our population. 4. She explains how ObamaCare will increase the problems of inaccessibility to medical care, restrict our choices and eventually lead to rationing. But no need to despair. In her last chapter, Pipes offers some alternative solutions which will increase choice, increase affordability and set us back on the path of ever-improving medical care. For anyone who has been closely following the health care debate and the development of PPACA, this book adds nothing new. It does put into one easy-to-read place a brief outline and introduction to the major issues involved. For those just getting interested in the topic, it's a great place to start. 220 pages. Large type. Well referenced. 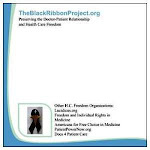 The Black Ribbon Project is working along side several other great health care freedom organizations. Be sure to check them out. In today's environment, Grocers are generally paid a fee for each food item purchased. Therefore, Grocers increase revenues by increasing the number and variety of foods sold, and by keeping their stores open for longer hours. But too many Americans are obese from overeating high calorie food with low nutritive value. The new Centers for Food and Nutrition ("CFN") policy and program initiatives are going to drive a new model, Accountable Nutrition. Accountable Nutrition takes the old fee for service model and turns it upside down. Under an Accountable Nutrition program, Grocers are paid based on their quality outcomes. The Citizen Protection and Affordable Nutrition Act ("Nutrition Reform Act") created the Shared Calories and Savings Program which promotes Accountable Nutrition Organizations ("ANO"). The ANO model is intended to require Grocers to create a new legal organization that is financially and nutritionally integrated. This financial and nutritional integration is intended to coordinate sales among restaurants, Grocers and other food suppliers as well as integrate reporting on financial and nutritional metrics. The ANO would be paid for the services rendered, but instead of increasing revenues with increased sales, if the ACO can minimize the costs associated with feeding 5000 beneficiaries then the ANO gets a share of the monetary savings. Thus, Grocers will be motivated to reduce food sales and instead focus upon the customers achieving quality outcomes. However, if the Grocers fail to achieve quality outcomes, the Grocers will not be eligible to share in the savings. Specifically, the proposed ANO require Grocers to report on sixty-five (65) measures that focus upon the following policy priorities: (1) shopper experience; (2) maintenance of balanced diets; (3) shoppers attaining ideal body mass and (4) managing at risk shopper populations--such as those who purchase tobacco and alcohol. The Grocers will be scored on each measure within each policy priority. If the quality benchmark is achieved, the ANO Grocer is eligible to share in the monetary savings. This initiative of scoring a Grocer's service will likely change the culture and behavior of Grocer practices. Because the Grocer will be scored based upon the shoppers' perceived experiences, Grocers must focus upon the factors that impact shopper satisfaction scores, i.e. length of check out lines, friendly staff, ease of parking. Grocers must also consider what information technology systems will be used to coordinate nutrition monitoring with other food dispensers and what support tools can be used to prevent junk food binges and promote shopper weight loss. Likewise, engaging the shoppers to modify their behavior will be a critical component of improving quality outcome scores and protecting the Grocer’s ability to receive payment. This concept of reporting on quality measures and tying payment to the quality outcomes will change not only a Grocer’s business plan for profitability/sustainability, but should change the sales patterns of Grocers. In addition to the ANO concept, CFN has established other programs that require quality reporting to obtain reimbursement. For example, Grocers can receive an increase in their reimbursement from CFN if they participate in the E-coupon program. Likewise, Grocers that report on quality benchmarks in the Grocer Quality Reporting Initiative (“GQRI”) are also eligible for financial incentives. Further, the Centers for Food and Nutrition Innovation (“CFNI”) demonstration projects also focus upon improving quality outcomes and reducing costs. Therefore, the focus on quality nutritional outcomes will likely continue to drive change in behavior while facilitating payment reform. Don;t know why someone didn't think of this before. Physicians are no different. As the quality and integrity of our medical care depends upon free and independent thinking, in medicine, it's even more directly a matter of life or death. End-of-life care has tragically been lumped together with the bruha over "death panels." Given the dire need to reign in the rising costs Medicare, and the looming threats of rationing under the auspices of "comparative effectiveness" and cost-control via the Independent Payment Advisory Board, these concerns are understandable but misplaced. But, assuring that people have humane and appropriate end-of-life care in line with their own wishes should have nothing to do with government rationing and everything to do with good medicine. Drs. Fisher and Rockwell along with free-lance writer Scott have written a compassionate, extensively researched appeal for rational end-of-life care. Their long over due discussion has the potential to improve the quality of medical care, while at the same time help eliminate wasting our wealth on futile treatments. We spend a very large proportion of our health care dollars at the end of our lives. The reasons for this are multiple, but include an inadequate legal definition of death, the shifting of decision-making away from medicine and into the legal realm, lack of adequate communication between patient and medical care-takers about end-of-life wishes and realities (aggravated in part by the Patient Self-Determination Act), unrealistic expectations of what medical science can accomplish, and the divorcing of medical decisions from economic considerations. Dr. Fisher offers some very intriguing solutions which are worth further discussion. Death should be defined not as "absence of all brain activity" but the absence of cerebral cortex functioning. This would clarify the futility of continuing to keep bodies alive when the person who once inhabited them no longer exists. Hospitals could form Appropriate Care Committees to assist families and physicians provide the best possible care for individual patients. We must actually apply what we already know about which interventions are futile in which contexts, and when further treatment is merely prolonging suffering and death. Where I part ways with Dr. Fisher is his recommendation that these committees extend into a government-managed hierarchy. I can see them as a selling point for hospitals ("We provide only the best, appropriate care.") but it frightens me to think of the government making those determinations. Another idea of Dr. Fisher's is to eliminate CPR as the default action for cardiopulmonary arrest. Upon hospital admission, each patient fills out a fresh advance directive form (a good idea), and if CPR is desired, an order for its use would have to be expressly written. The danger, of course, is that the order for CPR could be absent due to oversight rather than as a true reflection of the patient's wishes--and potentially lead to an irreversible error. Dr. Fisher points out that CPR-as-default was instituted when most hospital patients had acute, reversible problems. That is no longer the case. A growing proportion of hospitalized patients are admitted with debilitating chronic illnesses and aggressive treatment is frequently not beneficial. I am still not sure what to think on this issue--but it is a discussion which needs to occur. A useful clarification in the book is the differentiation between the absolute right of individuals to refuse any and all treatment and the non-existence of a right to demand treatment that is not medically indicated. The tricky part is who gets to define what is "medically indicated." Dr. Fisher recommends only limiting treatments which are not controversial (such as attmepting to keep an anencephalic infant alive via mechanical ventilation.) These non-controversially futile actions are where there is no right to demand treatment. Dr. Fisher also calls for more training of medical personal in end-of-life matters and palliative care. The goal is to do our best to assure patients do not pointlessly suffer by receiving futile treatments, and families do not deplete life savings for inappropriate care. I heartily agree that a deeper understanding of this aspect of medicine is sorely needed. 1. Implement a mechanism to keep advance directives fresh and timely. 2. Develop Appropriate Care Committees for hospitals and long-term care facilities. 3. Alter medical education to emphasize continuity of care. 5. Redefine death to loss of cerebral cortex functioning. 6. Consider changing CPR away from being the default action. 7. Address the issue of a shortage in nurses through expansion of 2-year hospital-based nurse training programs. 1. Making the Appropriate Care Committees a government function. 2. Create a central agency to mandate uniform insurance billing (with the rationale that it will decrease administrative costs.) This is properly a market function. 3. Government support of primary care over specialists, or vice versa. Again, the balance of primary care to specialists needs to be a market discovery by free individuals choosing what is of value for themselves. 4. Legally restricting or eliminating the direct advertising of drugs and medical devices. Yet again, this is an appropriate free market activity. These areas of disagreement in no way detract from the over all value of the book. Dr. Fisher presents much valuable information accompanied by a number of concrete practical actions we could take to address a very real and serious problem within our current health care system. This book is an excellent place to start several long over-due conversations. In the end, the way for us to assure the most cost-effective use of resources is by doing what is best for the patient in his or her entire context: medically, psychologically and economically. This can not be achieved in the collectivized, centrally controlled system of a medical commons where treatment decisions are divorced from economic consequences. As physicians, we can do a better job by understanding and then communicating the limits of beneficial treatment. As a society, we need to return personal responsibly and a respect for property rights, which means accepting the consequences of living in a world of limited resources and limited life. There is a time to defy death, but in the end, no one gets out of here alive. And nothing in life, not even death, is free. Today's post is up on PJ Media. For decades, Medicare and Medicaid have been paying for health care with no one facing the difficult question: “Is what we are purchasing worth the cost?” Not the doctors, nor the “beneficiaries” — and especially not the politicians. Doctors get income; patients get health care; politicians get votes — all with the carefree ease of paying for it with other people’s money. Check it out--and leave lots of comments! !